New Orleans pianist Tom McDermott offers an ode to ragtime on a new album, both revering and reinventing standards. Like so many musicians, pianist Tom McDermott came to New Orleans to play a gig, fell in love with the place and never left. Since relocating in 1984, he has become a fixture on that city’s musical landscape and within its long lineage of pianists, some homegrown and some from afar, each lending distinctive flair to a rich legacy that blends scholarship, humor, funkiness and a range of jazz, blues and R&B influences. The relaxed feel of Mr. McDermott’s playing sometimes conceals the boldness of his harmonic decisions and the rigor of his approach, which leans on diligent musicology. His playing and his original compositions draw from deep repertoire (he can play Louis Moreau Gottschalk’s mid-19th-century works with aplomb) and flash the same offbeat wit as the limericks and pencil drawings he publishes in small volumes. 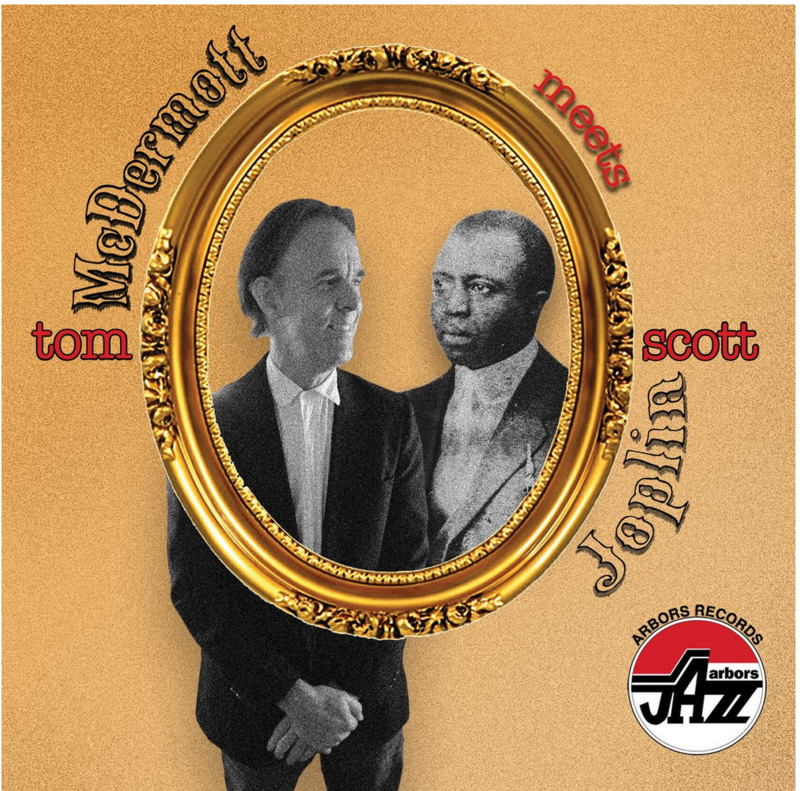 “Tom McDermott Meets Scott Joplin” (Arbors), out Friday, reveals a love of ragtime, and of Joplin’s rags in particular, that began long before Mr. McDermott moved to New Orleans. Now 61 years old, he grew up in St. Louis at a time when a young musician could still attend annual ragtime festivals and hear the form (steady beat in the left hand, syncopation in the right, clearly defined thematic sections) played correctly by devotees such as Butch Thompson and James Dapogny. Even before this country got hooked anew on Joplin’s “The Entertainer,” as played by Marvin Hamlisch for the 1973 film “The Sting,” Mr. McDermott had dug into pianist Joshua Rifkin’s Nonesuch recordings of that and other Joplin works. Joplin’s rags were an anachronism in “The Sting”—the film was set in the 1930s, well after ragtime’s heyday—but ragtime did beget early jazz. It’s the proper precursor for all of the music that Mr. McDermott has embraced. In a liner note, he recalls how, at age 14, “Joplin hit like thunder, opening my door into classic rag, and eventually early jazz, Brazilian music, Cuban grooves and New Orleans R&B.” All these influences figure into his approach to these 17 tracks. Mr. McDermott is both reverent and not. He plays it mostly straight on “The Easy Winners” and “Magnetic Rag,” both of which benefit from his graceful light touch. He accentuates the tenderness and somber tone of “Gladiolus Rag.” On “Fig Leaf Rag,” he appropriates some of the variations Mr. Rifkin used on his Nonesuch versions. With “The Strenuous Life,” he places Joplin in a New Orleans jazz context, via what Jelly Roll Morton called “the Spanish tinge” (and redolent of the sound of a New Orleans piano pioneer, Professor Longhair). Mr. McDermott erases the march from “Rosebud March,” loosening its joints gradually to achieve a sped-up midsection that sounds like an overt homage to another New Orleans piano legend, James Booker. “Maple Leaf Rag,” one of Joplin’s best-known and most demanding rags, was also, upon its publication in 1899, the earliest of sheet-music best sellers. It forms a centerpiece here, full of unorthodox key changes in the opening section and sly shifts of tempo and style before ending, in unusual fashion, back on the opening “A” section. In lesser hands, such an approach would seem mere pastiche. Mr. McDermott is hardly the first to toy with this rag (New Orleans pianist Henry Butler, among others, had his own radical interpretation), but his version is notable for both its daring and its cohesion. “The Entertainer,” another highlight, is the furthest flung and hardest swung of Mr. McDermott’s takes on Joplin. New Orleans isn’t the only place that seduced Mr. McDermott. Brazil has long been a muse as well, particularly for its choro style, which predated ragtime in origin and outlasted it in popularity. Mr. McDermott ends this Joplin album with three tracks originally issued on his 2005 release, “Choro do Norte,” which featured Brazilian and New Orleans-based musicians. The combination of choro and ragtime makes musicological sense, in terms of both form and shared roots; as expressed here by Mr. McDermott, it’s a sublime blend, lending fresh propulsion to ragtime’s inherent bounce on “Swipesy Cakewalk.” On “Heliotrope Bouquet,” arranged by Mr. McDermott for a piano-less quintet, the melody is introduced by Henry Lentino’s bandolim (a Brazilian mandolin) and passed along to clarinetist Evan Christopher and trombonist Rick Trolsen. They capture both the lilt and sway of Brazilian music, and the bluesy directness of early New Orleans jazz. Scott Joplin’s rags have long fascinated musicians for their structural elegance, their magnificent melodies and their invitation to invent. With his own immersion, Mr. McDermott has broadened the possibilities and rekindled a spark. Mr. Blumenfeld writes about jazz and Afro-Latin music for the Wall Street Journal. Thursday nights at Buffa’s (1001 Esplanade; 949-0038 with reed-women/singer Aurora Nealand). Other clubs I play sporadically include the Starlight, Bywater Bakery, Fritzels, and Snug Harbor. Jim Eigo’s Jazz Promo Service is my lifeline to the jazz world of New York and beyond, and the source of so many of my happiest musical discoveries and most joyful nights of jazz. Jim is the hardest-working jazz publicist I know; his popularity speaks for itself.